dav1d shifts up a gear : 0.2 is out! dav1d is now fast on 32-bit desktop processors (SSSE3). If you follow this blog, you should know everything about dav1d. AV1 is a new video codec by the Alliance for Open Media, composed of most of the important Web companies (Google, Facebook, Netflix, Amazon, Microsoft, Mozilla...). AV1 has the potential to be up to 20% better than the HEVC codec, but the patents license is totally free, while HEVC patents licenses are insanely high and very confusing. The VideoLAN, VLC and FFmpeg communities have started to work on a new decoder, sponsored by the Alliance for Open Media, in order to create the reference optimized decoder for AV1. Today, we release the second version of dav1d, called 0.2.1, Antelope . You can now safely use the decoder on all platforms, with excellent performance. For the first release, we showed impressive benchmarks for AVX-2 processors, with up to 5x speedups compared to the reference decoder. In this release, the focus has been toward ARM devices (32-bit and 64-bit) and desktop processors that did not support AVX-2. It is important to know that the ARM and SSSE3 optimizations are not finished yet. You should expect more performance in the future. For the ARM devices, we've been doing both ARMv7 and ARMv8 acceleration. We've been testing on iOS, Windows and Android to be sure that it works fine on all OSes. It's interesting to see that dav1d is faster in ARMv7 mode than the reference decoder in ARMv8 mode on the same machine. Depending on the samples, we have achieve 1080p at 75fps on Summer sample, and 40fps on more complex samples, like Chimera. For the desktop, we focused on SSSE3 optimizations, because they should cover 98% active of the desktop processors. We also did optimizations for both 32-bit and 64-bit architectures, and not only 64bits, as we did for AVX-2. You can get the tarball on our FTP: dav1d 0.2.1. You can get the code and report issues on our gitlab project. Dav1d 0.2 is now faster than aomdec on all the 4 important architectures (x86/SSSE3, x64/AVX-2, ARMv7, ARMv8). The speedups we see goes from x2 and x5, and on ARM devices, we are now approaching 1080p60 in software. We're going to continue acceleration work on SSSE3 and ARM devices, in the next few releases. If you follow this blog, you should know everything about AV1. AV1 is a new video codec by the Alliance for Open Media, composed of most of the important Web companies (Google, Facebook, Netflix, Amazon, Microsoft, Mozilla...) and VideoLAN. AV1 has the potential to be up to 20% better than the HEVC codec, but the patents' license is totally free, while HEVC patents licenses are insanely high and very confusing. This is the first time, where the Open community is ahead of the MPEG community , notably because AV1 and Opus are both great codecs. AV1 has mappings to wrap it inside MP4 or MKV. And other mappings are coming, notably for RTP or TS. So, of course, the open source community has developed tools to support AV1. This post is about how to use those tools. For FFmpeg, integration with libaom was done for both encoding and decoding (and now also dav1d for decoding). To encode, it is important to activate the --enable-libaom option at ./configure time. You can get all the options for encoding by using ffmpeg -h encoder=libaom-av1. This works, of course, for the mp4 and mkv output formats. To know more about AV1 in FFmpeg, please use the help or the official documentation. For GPAC, the integration of libaom was done too, and it is quite simple. If you want more details, or try encrypting of those streams, please read the GPAC blog. Gstreamer made several releases supporting the AV1 plugins. To play an MP4 AV1 file, just use gst-play-1.0 av1.mp4. Of course, VLC has full decoding integration, with libaom, and with dav1d (starting in 3.0.5, in a few days). This will work on all platforms, starting with desktop releases first. It's quite important to mention that Mediainfo already supports AV1, since version 18.08. You can use the GUI, or the CLI: mediainfo av1.mkv. Last, but not least, MKVtoolnix, supports AV1 muxing, since v28.0.0. Please try those tools, to create and play AV1/OPUS files everywhere. Also, please report any bug you would find in those tools. dav1d is very fast on modern desktop and it is getting faster on mobile chips. Therefore, the VideoLAN, VLC and FFmpeg communities have started to work on a new decoder, sponsored by the Alliance of Open Media, in order to create the reference optimized decoder for AV1. Today, we release the first usable version of dav1d, called 0.1.0, Gazelle . It means you can use the API, ship the decoder, and expect a bit of support on it. we spent a lot of time to make dav1d very fast, while keeping the binary size manageable. You can see more details on my previous post. But, since the previous blogpost, we've added more assembly for desktop, and we've merged some assembly for ARMv8, and for older machines (SSSE3). We're now as fast as libaom, in single-thread, on ARMv8, and faster with more threads. We've been also merging more SSSE3 code. (I haven't had enough time to bench it). Which means that we will soon be faster than other decoders, on all platforms. And, we've been experimenting with shaders, notably for the Film Grain feature. You can get the tarball on our FTP: dav1d 0.1.0.
dav1d is very fast, up to 400% faster (more fps) than the libaom decoder, and very often 100% faster. Now is the right time to integrate it, in your products! We launched dav1d, exactly 2 months ago, during VDD. We did a lot of work since. And by "we", I mean mostly the others. There are now more than 500 commits from 29 contributors from different open source communities. This is a good result for a new open source project. First, we've completed all the features, including Film Grain, Super-Res, Scaled References, and other more obscure features of the bitstream. This covers both 8 and 10bits, of course. We also improved the public API. Then, we've fuzzed the decoder a lot: we are now above 99% of functions covered, and 97% of lines covered on OSS-FUZZ; and we usually fix all the issues in a couple of days. This should assure you a secure decoding for AV1. Finally, we've written a lot of assembly, mostly for modern desktop CPUs, but the work has been started for mobile and older desktop CPUs. We even reduced the size of the C code! Today, dav1d is very fast on AVX2 processors, which should cover a bit more than 50% of the CPUs used on the desktop. We wrote 95% of the code needed for AVX2, but there is still a bit more achievable. We're readying the SSE and the ARM optimizations, to do the same. They will be very fast too, in the next weeks. The following graphs are comparing dav1d and aomdec top-of-the-tree on master branches. (and yes, aomdec has CONFIG_LOWBITDEPTH=1). This was done on Windows 10 64bits, using precompiled binaries. The clips are taken from Netflix, Elecard, and Youtube, because they don't use the same parameters in the encoder, and don't have the same bitstream features. Film Grain is not run on the CPU, so it is not visible here. We got in average 2.49x, and we even get 3.48x on the Youtube Summer clip! The average is even higher at 3.49x, and we even get 5.27x on the Youtube Summer clip! If you listened to our talks during VDD or during demuxed, we explained that dav1d threading was quite innovative, and should scale way better than libaom. You see that dav1d can scale better, in terms of threading, than libaom. dav1d is very fast, dav1d is almost complete, dav1d is cool. We're finishing the rough edges for a release soon, so that we can hope that Firefox 65 will ship with dav1d for AV1 decoding. On the other platforms, SSE and ARM assembly will follow very quickly, and we're already as fast on ARMv8. Stay tuned for more! I would like to thank Ewout ter Hoeven (EwoutH) from the community who did all the testing, numbers and computations. I'm very proud to present to you the VLC Technical Committee, as elected during the last VDD conference: Denis Charmet, Rémi Denis-Courmont, Hugo Beauzée-Luyssen, Thomas Guillem and David Fuhrmann. The role of the VLC Technical Committee (TC), is mostly a technical resolution committee, that will arise and decide when there are disagreements and bike-shedding in our community. Rémi Denis-Courmont, the biggest contributor to VLC ever (and still the most active non-sponsored developer around VLC); without him, VLC would not exist anymore; the one that knows more about UB, threads and network than 99.999% of the developers. Hugo Beauzée-Luyssen, active on the VideoLAN community since the late 2000s, C++1x lover (yet I saw him write Go, once! ), very active on the Medialibrary, compilers, toolchain, CI/CD, code-coverage, fuzzing and other toolings; he also knows about UB, even in C++ (some say he is secretly in love with Windows, but he will deny this). Also member of the board, since quite some time now. Thomas Guillem, one of the most (the most?) active on VLC development; knows wayyyyy too much about audio and video outputs, and codecs in VLC, a lot about Android (and too much about Tizen) and other weird OSes (he even has a mac on his desk). Probably the most knowledgeable about VLC, after Rémi. He loves C and will never switch to other punk langages! David Fuhrmann, the youngest of the TC, is the macOS/iOS touch of this TC, and knows this weird language called Objective-C. Some people claims he even understands Xcode and the macOS toolchain! But in his every day life, he knows C++ (don't tell Hugo)! there are 2 people of the board in the TC, 2 out of 5 are VideoLabs employees, no roots are part of the TC, nor am I. They know about C, C++, obj-C, and Linux, Windows, macOS. The TC can be contacted to take action, or decide by itself to take an action, on any technical subject that did not reach consensus. If no issue there is, there is no need to call the TC. Votes and discussion of the TC are private. The VLC TC cannot take action on community issues or CoC. The VLC TC can be fired by the GA or any other VideoLAN meeting with the majority of votes. May they do good work! Good luck to them! After quite a bit of time far from the blog, I am back around here. The biggest reason for this silence was that this was taking a lot of my time, but I had almost no positive feedback on those posts. During the core of the hot European summer, here is a weekly report about the last 2 weeks in the VLC and VideoLAN communities! The week started by a lot of code cleanup and renaming for the Mac OS interface. We also had improvements focus on the Sierra release. On the decoding side, we've had some improvement for hardware decoding in Direct3D11, focused on HEVC decoding. We also had fixes for the OSX VideoToolbox decoder, notably to be able to restart the decoder when required. A module supporting the AV1 from the Alliance for Open Media was merged too. So far, it's only a decoder, and disabled by default. On the streaming side, the MP4 muxer timestamps were fixed. It was also backported to the 2.2.x branch. We now have ARM64 assembly for our deinterlacer, which will be very useful for iOS, Apple TV and Android TV. Finally, we had fixes for RTSP passwords saving in the keystore, improvements for RTSP support and the H264 packetizer, and we added support for UTF8 filenames in FTP directory listings, and support for DiscNumber and DiscTotal metadata in MP4, and DNxHR! On Android, we've mostly fixed crashes, updated translations and pushed 2.0.6 in production, on the play store. The work is mostly done now on the new media library code, that will be merged later. On UWP, the focus has been on the XBox 1, and mostly on how we can upload files on the box, since we don't have access to the filesystem. The current solution is using an HTTP webserver to upload the files from your browser, and support for USB disks. That's all for those weeks, see you next! Another summer week passes by and here is a new weekly report about the VLC and VideoLAN communities! The week started with numerous additions to the Direct3D video accelerations and video outputs, to continue the support for 10bits decoding and HDR. Related to those improvements, we added support for hardware decoding of HEVC decoding inside the TS format, by improving our HEVC packetizer. We fixed (actually added) the support of QuickTime Videos inside MKV, aka MP4-inside-MKV; and also the support for QuickTime Audio inside MKV. We improved again the ChromeCast support, by fixing small issues, notably when reloading and stopping the stream. In the core, an important deadlock was killed, that was affecting Windows and Android platforms. Finally, we also did a fix for hidden chapters in MKV, and improved the MIDI integration for Windows, and reworked a bit our contrib system. On Android, we finally fixed the support for old x86 Phones like the ZenPhone that claimed to be ARM phones. Those phones lie about their CPU with CPU_ABI, CPU_ABI AND they expose a fake /proc/cpuinfo to the applications! Thanks to a contact at ASUS, we got a phone and coded a work-around. We also added support for saving audio-delay when using your Bluetooth headphones, so that you have a different audio-delay when using those headphones than without headphones. Finally, we fixed a few crashes and regressions that were reported against the last release. On UWP, the biggest focus was on cleaning the code and on the Xbox 1 interface. We've had a lot of small fixes for libbluray, mostly on fixing issues and crashes reported by static analyzers, but also build issues, Windows issues, and crashes reported by the users. That's all for this summer week! See you next! So, after a few crazy weeks, I'm coming back to a more regular schedule for my weekly reports about VLC and VideoLAN. The major change, during last week, was the possibility to restart the audio decoders when the audio device changes. This is very useful when you switch from normal decoders to SPDIF/HDMI pass-through for DTS, Dolby and related codecs. In the past, VLC could only restart the filters, not the decoders, so our Dolby and DTS decoders were actually filters. This was finally changed and now decoders are decoders. For those who don't understand what all this means, it means that it will help us support more formats for pass-through over HDMI, like DolbyDigital+ or DTS-HD. We've fixed the green line that appears only on AMD GPUs on Windows. This is scheduled for the next Windows update. I've implemented the support for browsing FTP remote directories, so that it behaves similarly to SFTP or SMB. On Windows, we've added the support for hardware decoding of 10bits HEVC , using DxVA and D3D11. We also pushed improvements to the prefetcher module and to our TTML support; and we've fixed issues for DVD menus, SAT>IP protocol and HLS protocol. Finally, please note that the license of the UPnP module was switched from GPL to LGPL. On Android, we've fixed a few issues related to old devices, and we've improved the libVLC Java bindings to support statistics. Last week on WinRT, we've removed all the code that was focusing on older versions of Windows. The codebase now support only Windows 10 Universal with its Anniversary Edition version. Thanks for the support and see you soon! So, after a few crazy weeks, I was taken a bit by RealLife©®, and we've had 3 weeks without report. And this one is late. Therefore, here is a new report about the VLC and VideoLAN communities, covering the last 3 weeks! The report will be a bit more summarized that usual, and more dense in information, for obvious reasons. We've added support for codecs with colors in 12bit-depth, in YUV 4:2:0, 4:2:2 and 4:4:4. Of course, nothing can display that yet, but it can happen in some HEVC samples. It will be dithered down before displaying. The Windows users will be happy, because we're reintroducing the MIDI support, using a new library called FluidLite, in order to replace FluidSynth. A new protocol to control and distribute satellite signals on a LAN called SAT>IP was implemented in a new access module. There was a lot of work and rework on our adaptive support, notably to change timings and drain, but also to start supporting HLS using mp4 fragments. Some work on URL and URI was done to support more cases and improve test coverage. 2 new functions called vlc_uri_resolve() and vlc_uri_compose() were introduced. At the same time, modifications on the HTTP redirections were merged. On Windows, we merged the VP9 hardware decoding, using the DxVA APIs. This code requires very recent video cards to be usable. Finally, an important work was done to merge the access and stream-filter behavior and semantics. The 2 type of modules still exist, but a large part of the code is now common. This allows now block-based stream filters. To achieve this, we now have introduced the vlc_stream_Eof(), vlc_stream_ReadBlock() and vlc_stream_ReadPartial() functions. Finally, we added support for MP4 chapters in Unicode, and we fixed some Qt sizing issues with Qt5, a DLL loading potential security issue for Win32, MP4 subtitles size, a WMV integer overflow, a crash in smem, the Qt right-click menu on the playlist, SFTP browsing, and the audio fingerprinter. We also improved the HTTP/2 stack, our TS demuxer when dealing with scrambled content, and a few other minor things I forgot. On Android, we've pushed 2.0.3, 2.0.4 and 2.0.5 to fix the most important issues and regressions reported. Support for more ARMv8 devices. And we also added, in the main branch, some modifications about preferences, and adding new ones. The iOS buildsystem was modified to support full cocoapod building, so you can compile just the application, without compiling VLC and libVLC. On WinRT, we've prepared a MediaCenter Mode for the Xbox 1. We fixed numerous interface issues and crashes, that were reported in 2.0.1. A few fixes where pushed also to address issues happening with specific themes or specific resolutions in responsive mode. That's all for those weeks! There is probably a bit more I forgot about, but you should have the important parts. So, after two busy weeks, you can get a new weekly report about the VLC and VideoLAN communities! 10 days ago, we released VLC for Android 2.0. After a long period of development, we're finally at a release that supports more features than the old 0.9.x versions and the 1.7.x versions. And last week, we released the new VLC for Windows 10, numbered 2.0 too. It is a continuation of the work we did for WinRT, the kickstarter, focused on Windows 8.1, Windows Phone 8.1 and Windows RT. The new application should supersede the old one. In the last 2 weeks, we improved the ChromeCast support, notably to work on transmitting the pause status and the title between the device and VLC, and we also changed the interface to scan for devices, since it was a bit confusing. We added support for some uncompressed video format inside MKV, for the AlbumArtist meta-tag inside mp4 and we now support more MicroDVD subtitles styles. Our new Kwallet module was transitioned from using libKwallet to DBus. This will be better to support both Qt4 and Qt5 applications with libVLC, because those versions are not ABI compatible. The core gained a new stream FIFO API, with functions like vlc_stream_fifo_New, vlc_stream_fifo_Queue, vlc_stream_fifo_Write and vlc_stream_fifo_Close. This change, in addition to the new chained_demux implementation in the core, removes the need for stream_Demux (now removed). We also improved the security when loading of DLLs on Windows. And for Android, AudioTrack DTS pass-through was implemented. As I said, we released 2.0, and we also pushed 2.0.1 and 2.0.2 to fix the most important crashes reported. Same, we released 2.0, the first beta version of the UWP application. Fixup releases are coming soon! On iOS, we pushed the promised update and we had a few refactoring, notably on the network login view. If you follow this blog, after a long development period (and a lot of issues), VideoLAN is finally releasing the beta of VLC for Windows 10, numbered 2.0.0. This beta is the first version targeting Windows 10 and running on the Universal Windows Platform, aka UWP. The Windows 10 application has all the features available on iOS and Android and a few more. Like the classic VLC, it supports a very large number of formats, but it also has a medialibrary triaging audio and video media, a full player with subtitles, audio/video synchronisation, an audio mini-player and a network shares browser! We also support Cortana, Live Tiles, Pining and Continuum! The only important missing feature is DVD/Bluray playback and TV tuners that are not yet possible through the UWP APIs. And of course, it's completely open source, available under the GPLv2.0 license! and you can get detailed information about artists. The accent color is, of course, modifiable and it will change the VLC cone color too! We support DLNA/UPnP, Windows Shares, FTP(S), SFTP, NFS protocols to discover and browse your local servers or NAS. NotaBene 0: This application is NOT replacing the desktop application. NotaBene 1: This application is a new entry on the store compared to the 2 WinRT applications, because Microsoft could not offer a simple upgrade path. NotaBene 2: Please report bugs! NotaBene 3: the Xbox one version should be out this summer, when the store is open to 3rd party UWP applications; the Windows 8.1/Windows Phone 8.1 version should come during the next month, if all goes as expected. After a long development period, VideoLAN is finally releasing VLC for Android 2.0. Our last major release was 1.7.0, more than 6 months ago! support for new releases of Android, network shares browsing and playback, video playlists, subtitles downloader, pop-up video view and support for multiwindows, an optional history panel, favorite network shares and URLs, and a merge between the Android TV and Android packages. We also offer faster decoding, using our new asynchronous hardware decoder and we've updated most of our codecs and formats support. So here is an overview of the new features. The first good news is that we have decreased the number of dangerous permissions that VLC was using. The only permission that is now considered as dangerous is the access to media files, which is expected for a media player. And we still support Android 2.2! We support DLNA/UPnP, Windows Shares, FTP(S), SFTP, NFS protocols to discover and browse your local servers or your NAS. And we also detect associated subtitles over the network! As we've done for audio, we support basic video playlists. Another often requested feature, was the popup-video view, mostly for tablets. It's now implemented and we do support Samsung MultiWindow and LG Dual Window extensions to allow 2 applications on the same screen. The history feature that was present in the 0.9.x days is also back, but can be disabled. You can see now all the features in our menu! The Android TV interface has been improved and ​was merged to​ the same package as the normal Android one." Therefore, if your device form-factor is more suited to the TV look or you just prefer it, you can select it in the preferences. We also improved the interface to support RTL layouts. Thanks a lot for the support, hoping that you will love this release. Another week passes by and here is a new weekly report about the VLC and VideoLAN communities! A new type of module was introduced, named demux filter ; they are used to filter or intercept demuxer controls commands and demuxing. The first use case of this type of module is the ChromeCast demux filter, to show the correct playback time when using the ChromeCast, that we merged this week too. Some work was done to support the next version of macOS: Sierra. This notably concerns the input capture plugin. Also, on MacOS X, the interface for renderers was merged. The 2 SPDIF modules, ac3 and dts have been merged into a single one. In the core, we've seen fixes for UTF-8 support, media discoverers API, libVLC parsing calls memleaks, tests, buildsystem and Windows threads. On Android, we've done the same kind of bugfixing as last week, and we have released 2.0.0 RC4 and pushed it on the store. Not many issues are remaining for the release, now. On WinRT, we are also in the bugfixing phase, with a lot of commits to make sure the application does not crash too much. Indeed, we're closing to an open beta release, but the number of crashes was still too high, especially when using the application for a long time. We also fixed the background audio support on Windows 10 Mobile phones; and reworked the thumbnailer. The application should be opened in beta to everyone soon. The iOS application got a few fixes, notably for remote playlists and XDCAM support and we're pushing an update named 2.7.8 this week. This week-end was the Q2 meeting of the VideoLAN asso, hosted in Vienna, by PSPDFKit. We gathered to fix pending issues for VLC 3.0, and we worked on the mobile apps and the VideoLAN server infrastructure. It was a great week-end! During the week-end, we released VLC 2.2.4, to fix 2 security issues, one in VLC, one in a 3rd party library! It is already released and pushed to our users. The input core was modified to support network slaves, aka external subtitles or audio tracks, over the network. In the past, it was only working for local subtitles. The libVLC API added for this is called libvlc_media_player_add_slave. The core threading code was improved for recent versions of Windows: it can use futeces and generic semaphore, starting from Windows 8. We also added the libvlc_media_player_(get|set)_role calls for libVLC, to set the media role (notification, video, audio) that are reflected to the audio output mixer. This is notably used for the PulseAudio output. Finally, the preparser was reworked to allow interruption and have a default timeout. Applications can also now cancel their preparsing requests with libvlc_MetadataCancel. The Qt interface received the first renderers selection dialog. You should be able to detect your ChromeCast from this interface, and stream to it. The UPnP module was improved to support more type of servers, more metadata per item and the code was heavily cleaned. (The library we use is still very bad though). The OS X interface got new HUD panels and widgets for the dark mode. Finally, we added the first AppStream Metadata for Linux distributions, a few Qt minor changes, support for GoPro highlights chapters in MP4 and some OS X interface fixes. Nothing very exciting on Android, just the beta 1.9.13, 2.0.0-rc1 and 2.0.0-rc2 releases, pushed to the store. For 1.9.13, we mostly focused on activating subtitles over the network, and improving the support for subtitles. 2.0.0-rc1 was mostly focused on fixing the UPnP support and 2.0.0-rc2 was minor fixes for bugs reported by several beta testers. On WinRT, we reimplemented the playlists management, and the support for playlists in the PlaybackService. The Search page, that was hidden, is now visible again, and we support favorites for streams and servers, like the Android version. The notifications and toasts were reworked to be less intrusive, and Cortana support was improved. Finally, the new equalizer got a facelift. And of course, numerous bugs were fixed, so we can have a proper release soon! That's already quite a bit for last week, see you next! After a couple of very busy weeks, we're back on a normal schedule. Therefore, here is the weekly report about the VLC and VideoLAN communities! We started the week by adding the support for MPEG-2 and VC-1 hardware decoders on Android in the mediacodec module. We also fixed some MPEG-4 regressions on this module. Hugo fixed a few issues on the UPnP module, and mostly added the support for Windows Media Sharing servers, in this module. We also added support for subtitles over UPnP, using the work done in the core the previous week. The Matroska demuxer got a few fixes for some regressions, but mostly implemented the fast-seek option, that is imprecise, but faster than the normal seek. This is useful when computing thumbnails, for example. Some changes on the libVLC parsing events were done, to simplify the handling in client applications. If you were using the not-stable-yet libVLC 3.0, beware! Near the end of the week, the core got some important changes on threads manipulation, with the introduction of vlc_thread_self() and vlc_thread_id(). The usage of futeces was introduced in the core: see Rémi's post about it. The MMDevice audio output on Windows now supports device change events. The Windows 64bits build will now have high-entropy ASLR activated, which should reduce the possibility of exploitation of security issues. On Windows, we also fixed the raising issue of the Qt tooltip that we had with Qt5, the 2.2.3 DirectDraw regression and a small D3D improvement when handling large pictures. Finally, a few H264 annex-B parsing issues were fixed and the video headers were modified to support, in the future, VR videos (nothing working yet). On the Android side, we're going on fixing issues for the 2.0.0 release. fixed a few remaining small issues. All this was pushed in the update 1.9.12 on the play store. Hopefully, the 2.0.0 release will come this week. As last week, the WinRT port has been very busy again, with almost 100 commits. As for Android, we're focusing on preparing the release, and fixing the biggest bugs people have reported. On the libVLC backend, we fixed a few performance issues, we added more codecs support, and we improved the UPnP and SMB browsing. On the interface side, we improved the thumbnailing and parsing process, we fixed numerous bugs that happened when resizing (and Windows 10 Mobile look) and we fixed a few crashes. We also improved the settings and activated the access to the equalizer. Hopefully, we'll be able to open the beta to the public soon. That's all for this week! See you next! Howto build VLC 1.0.0-git in Ubuntu in less than 5 commands. 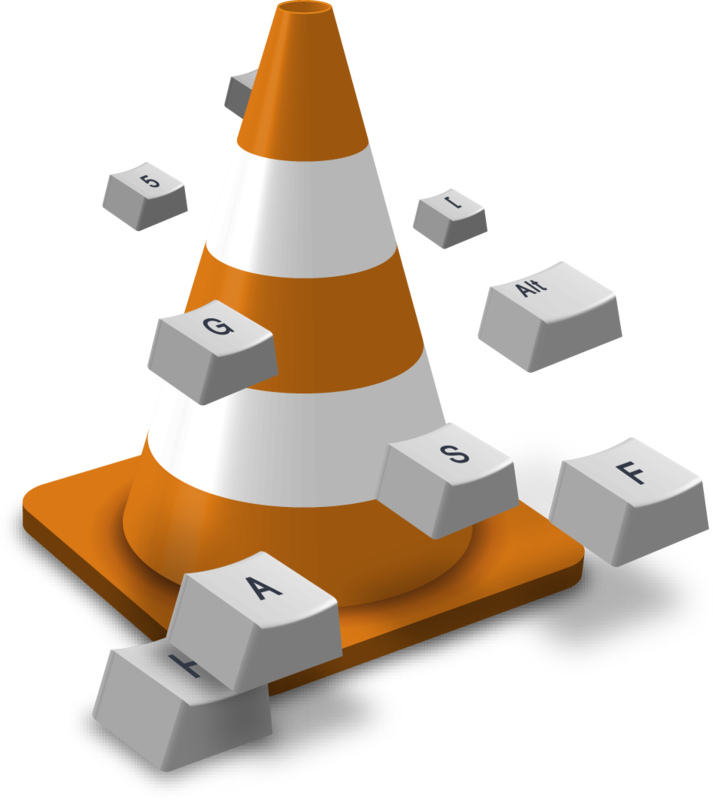 Want to include vlc in your Qt application?